Thanks everyone for all of the well-wishes here & on twitter! Your kind words have made my week. Felix & I are doing well (he’s currently asleep on my chest), I’ll give a full update on Monday. Also, a huge thanks to Carrie of Bedtime Tales for offering her talents with a guest post and a printable! I’ve known Carrie since my college days in ’06. She’s such a kind, creative person. Penelope & I will definitely be doing this project soon. Since Melissa introduced me to blogging, I began to explore the “blog world” a little deeper and I found that it is a wonderful thing to share beautiful, personal art online. So, once my artsy sister, Becka, started her own blog, I jumped aboard with both feet. Now, after almost a year of craft-blogging, I can say that I find the free-sharing of creative ideas and projects more satisfying than ever! My sister and I run a blog that fits well into the “creative living” category, posting about family recipes or DIY projects. However, our personal specialties are found in bedtime toys and tales (hence our blog title, Made by Bedtime tales). Becka likes to create cuddly, homemade stuffed animals and dolls. I love to capitalize on original stories and illustrations for my kids. Our dream is to one day sell handmade, ornate, small wooden puppet stages that you can share with your children at bedtime. Until Becka and I get that dream up and running, however, we’d like to share with you a small, printable puppet stage pattern! I’ve seen a number of online patterns for “green” doll houses made out of recycled cardboard boxes. Well, this is a similar idea here, only we’ve designed a way to make a puppet stage out of an old, empty kleenex box and some cardstock. This pattern comes with some printable puppets that attach to popsicle sticks and a funky ad-libs script for your own fun, family-night puppet show. And thank you, Melissa, for all the years of free printables, tutorials and fun DIY projects! This printable is free for personal use & should NOT be distributed or republished without consent. Altering files is NOT ALLOWED. If you’d like to use this for commercial purposes, please email Carrie. 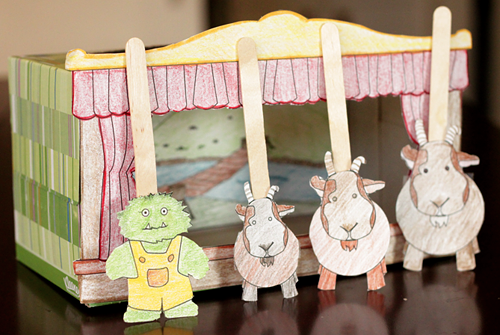 Love the puppet theater. Congrats on Felix’s arrival!!!! 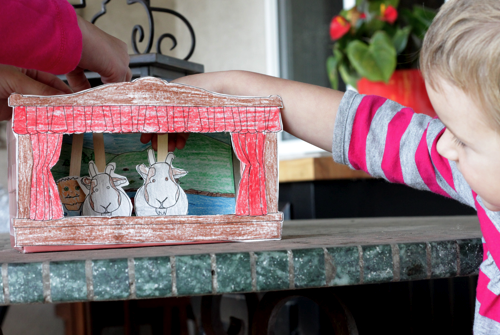 One of my favorite childhood memories is the puppet theater my mom made me from a cardboard box. I used my paper dolls as actresses. Thanks for resurrecting a fun memory! Melissa!!! Congratulations to you, Chris, and Penelope! I can’t wait to see pictures of Felix and hear some of his birth story. My best to you all!!! Melissa! I am so glad to hear that Felix is resting on your chest! Enjoy your time at the hospital and enjoy what rest you can get! Congratulations!!! Congratulations:)! So happy to hear that Felix is here and healthy! Carrie- thanks for sharing the adorable printable! I like you blog so much that I choose you for a pize. You can see it on my blog, here http://camaseiz.blogspot.com/2011/02/un-premio.html if you want. Congratulations on baby Felix (dreamy name by the way!) I’ve been checking you blog to hear the big news!! Congrats! Can’t wait to hear more about Felix! xo. What a fun little stage! Had to stop by and see CK’s latest creative project! 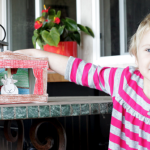 What a wonderful way to upcycle a tissue box and give a child hours of fun using their imagination! I have downloaded the free printable and know it will not allow me to open it says that it is all password protected. What is the password to get the 3 billy goats gruff pdf’s to open. Strange about the password. I was able to download and open the files just fine. I’ve emailed them to you. I love this! I tried to download and it says that it can’t find the destination. Could you send me the files also? Thanks so much for making this a free resource! Please help. I cannot get htis open. I don’t know what’s up. It’s downloading and opening just fine for me. I’ll email. This looks so cool. Unfortunately I can not get it to open. As mentioned above it says it can’t find the destination. This is too cute! Is there a solution yet to the error trying to open the file? such a sweet sweet memory! I cannot also access your adorable printable. Please email me a copy. I can’t provide support for this file, unfortunately. Hi, I would love the file too !